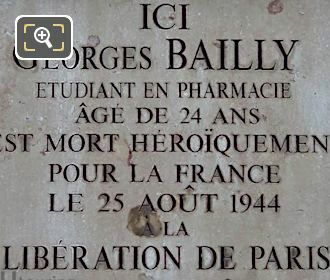 We were by the Jardin des Tuileries in the 1st Arrondissement of Paris, when we took these high definition photos showing a commemorative plaque dedicated to Georges Bailly. 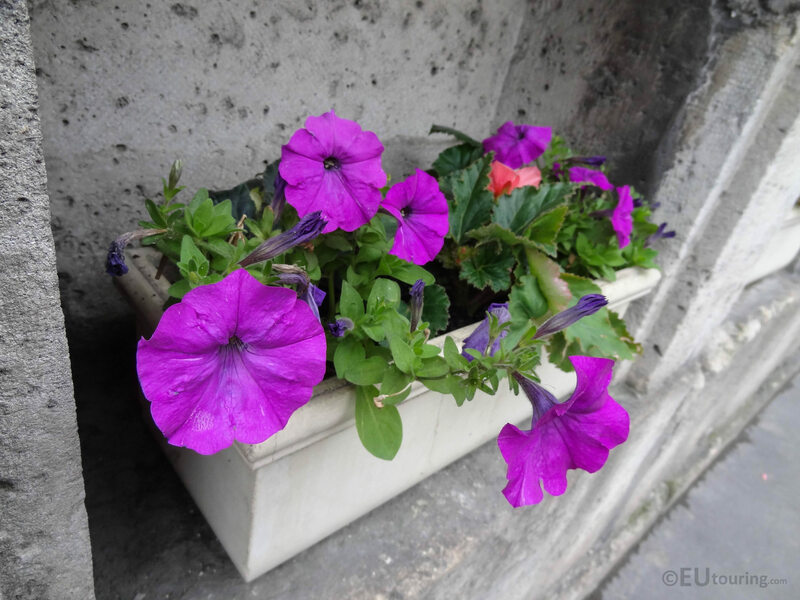 While you are on the outside of the Tuileries Gardens on the Rue de Rivoli close to the Place de la Concorde, you will come across ten commemorative memorial plaques that have been placed within the sandstone wall of the Jardin des Tuileries below the Jeu de Paume. 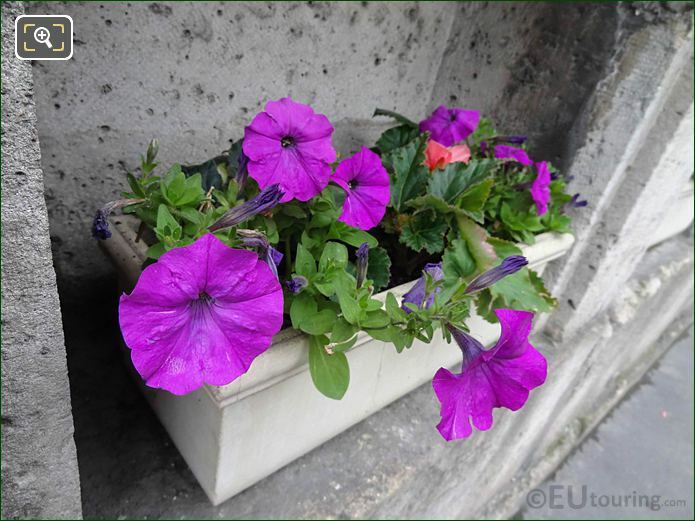 So this first HD photo shows the plaque dedicated to Georges Bailly along with a stone plant pot positioned in a niche of the wall below this, which is always maintained with a variety of flowers. 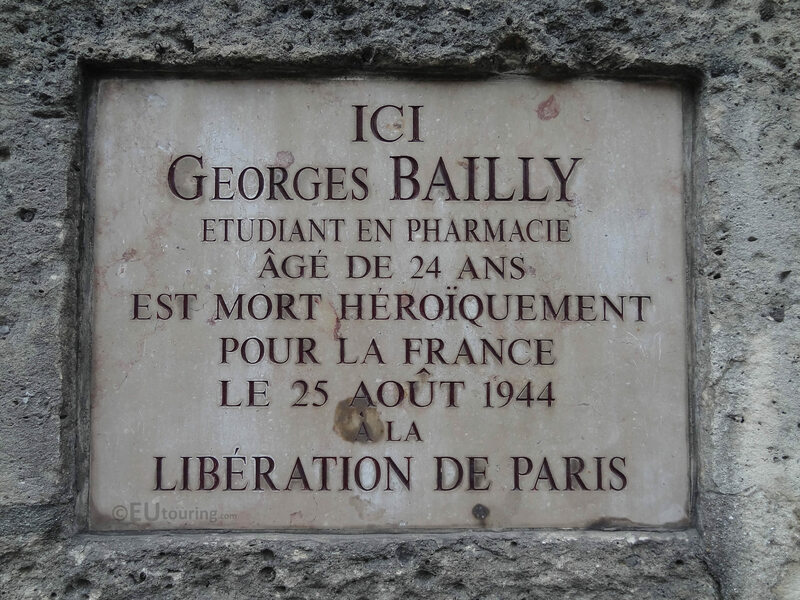 In this close up photograph you can see the memorial plaque for Georges Bailly, which in English generally translates to, Here Georges Bailly, pharmacy student, age of 24 died heroically for France 25th August 1944, at the Liberation of Paris. 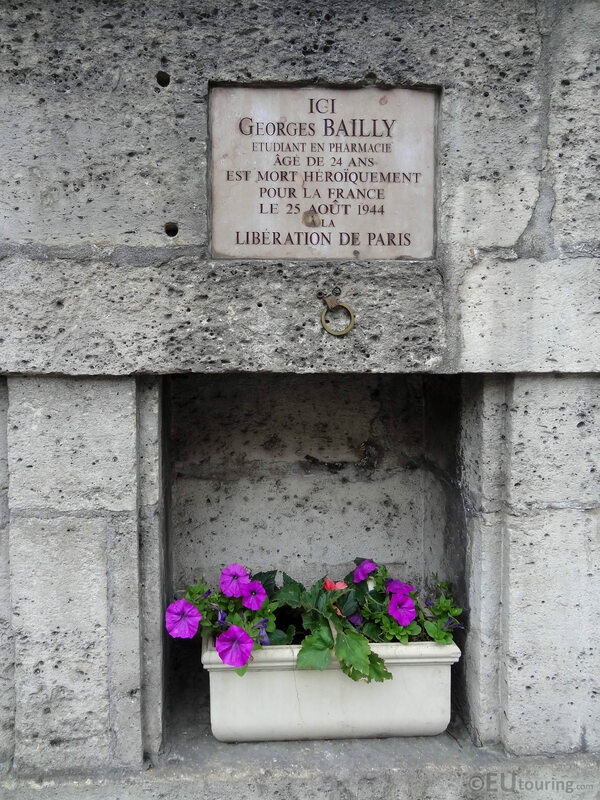 It was actually the Bailly family who requested a memorial for their son, Georges Bailly, who died on the corner of the Rue de Rivoli and the Place de la Concorde, and after this other families requested the same thing, which is when Marie-Helene Lefaucheux, the vice president of the post-liberation Municipal Council, became involved. So in the end there were a total of ten of these commemorative memorials that were put in place on the wall of the Tuileries Gardens as a constant reminder of the many people who fought for the freedom of France, and you can find numerous different plaques, along with flowers dotted all over the city of Paris.